updating online catalogs, and constructing web-based catalogs. The process of managing and updating an eCommerce store requires a lot of time. QuikTek provides effective catalog processing services and product data optimization services to help you focus your resources on core competency. 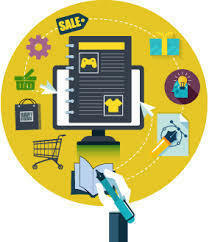 We also provide multi-channel eCommerce services to help you boost your web presence. We bring forth our vast industrial experience and expertise in this business instrumental in rendering Production Processing Service. Our Production Processing Service is well appreciated amongst our clients owing to its timely execution and cost effectiveness. Note: Looking for EXPORT queries only. These days e-commercial market is booming in multifold with a rapid rate not only in developed country but also developing country too. The key to success of e-commercial business is having online presence and everything is just far a click. India-Data-Entry-Services provides you full range of web content production and web content management services. Our catalog processing services for online stores include converting suppliers' paper catalogs to the web, updating online catalogs and building web-based catalogs. Pioneer in the industry, we are engaged in manufacturing an impeccable range of Product Catalog. To meet the various requirements of the customers, we are involved in providing ProductCatalog Printing Service. In order to meet the various requirements of the customers, we are engaged in offering a wide assortment of Laminate Catalogue Printing Service. Instituting and also functioning an internet store to the perfect of its features is not really an easy job.